What Makes Sentry The Right Choice? Senty Equipment Consulting from Avanti Vision on Vimeo. has been the leading manufacturer of frozen treat equipment for over 80 years. From the invention of the twist head and refrigerated cabinet machine to it’s newest development…the Fuzionate 9 flavor soft serve machine. Electro Freeze continues to be a ground breaking force in the frozen dessert industry. Small wonder that Electro Freeze innovations are some of the most utilized equipment on the market today. 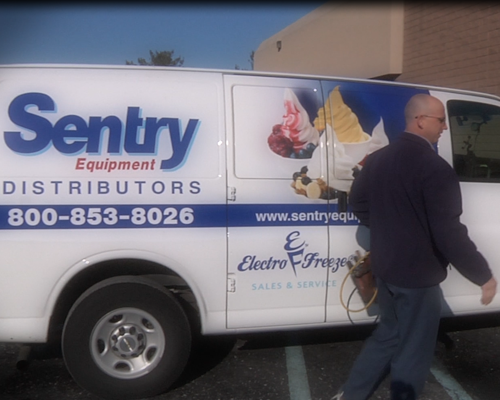 Sentry Equipment has been voted a top Electro Freeze distributor for 30 straight years. Electro Freeze equipment is dependable, energy-efficient, easy to operate and clean and simple to maintain. Small wonder that Electro Freeze conceptions are some of the most utilized equipment on the market today. 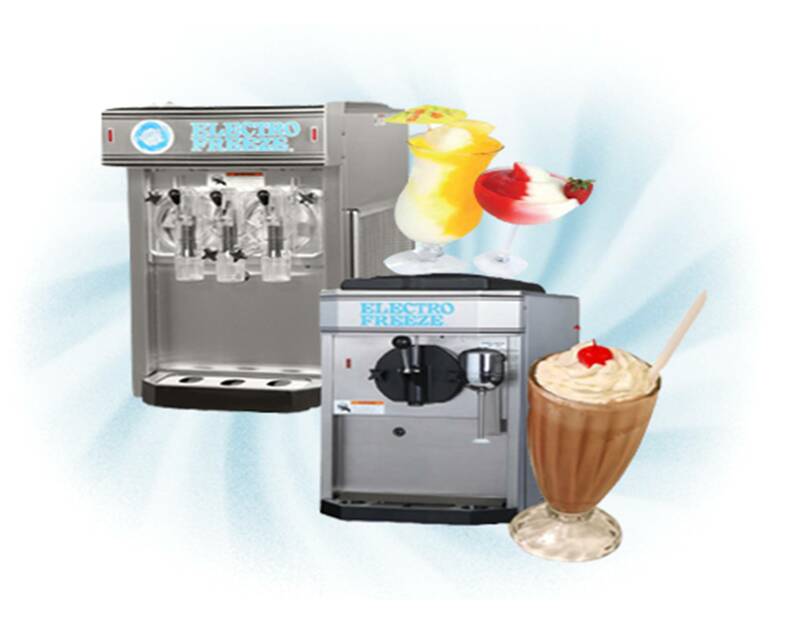 Whether it be yogurt machines, ice cream machines, milkshake equipment, or Italian ice machines, Electro Freeze has the equipment you need. For over 30 years, we at Sentry Equipment have been one of the world’s leading distributors of the Electro Freeze brand and an overall leader in the frozen dessert industry. When you buy equipment from Sentry, you are not only investing in us, but we are investing in you. As a family owned business we realize that our success as a company depends on the success of our customers…and we take that very seriously. Working with us at Sentry gets you more than just high quality, industry leading Electro Freeze equipment. It gets you our award winning sales and service team and their commitment to the following goals. We have helped thousands of customers develop their ideas and dreams into high profits. One of the main reasons is that we believe in educating customers on our equipment and the industry in general. 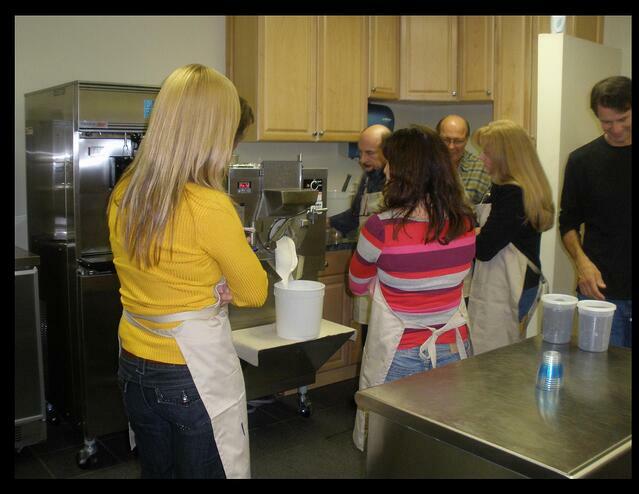 We may be the experts on the frozen dessert business and equipment, but you are the expert on your vision and ideas. Working together with our customers and talking to them and not at them, is the best way to ensure success. 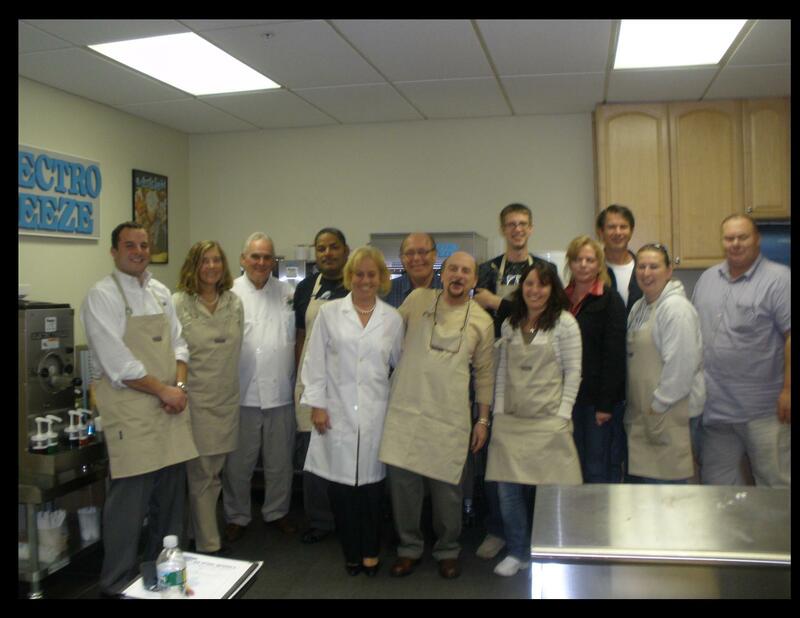 Whether it be through our Ice Cream Academy, our Open House seminars, our participation in frozen treat schools throughout the country, or just a one on one meeting at your location. It all starts with education. 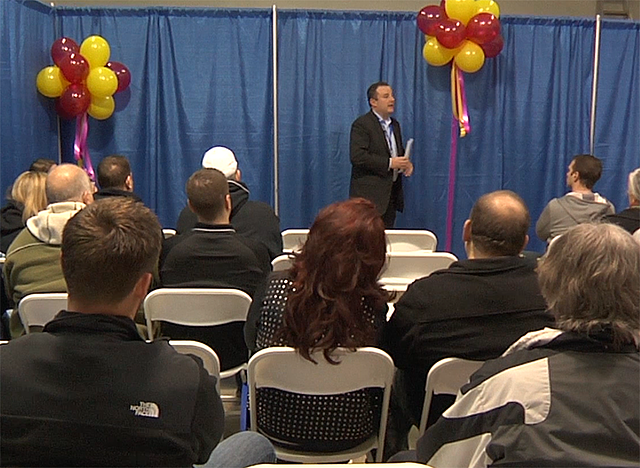 Consultation goes hand and hand with education and it is one of our biggest strengths at Sentry Equipment. From the day you meet with us, you'll have the peace of mind that we are just a phone call away. Whether you are opening a new business, changing an existing one, or just considering a fresh idea, we will help guide you every step of the way. Click on the link below to learn more about our Consulting services. When you purchase Electro Freeze equipment from Sentry, you get more than just a machine. With a full state of the art training facility, we’ll give you all the hands on training you need to maximize your profits. Through our annual Open House, training seminars, and our focused one-on-one sessions, we will train you on everything you need to know. From how to make consistent, profitable, high quality products to the art of serving customers, there is nothing we don’t cover. We’ll give you the foundation and training you need, for as long as you need it. Our job does not end after the sale. It’s only the beginning. Service is such an important aspect of what we do at Sentry Equipment. That is why we developed our "Sentry Service Standards"
7 days a week on call service - Problems rarely happen at convenient times. No matter when they happen, we are a phone call away. Sentry employs only the most professional, courteous and qualified technicians and we keep them. Amazingly, our service department has over 200 years of experience in the industry. When you call us at Sentry, you will always get a live, courteous voice on the phone. Small wonder we have won the Electro Freeze Service Excellence Award for 30 straight years. 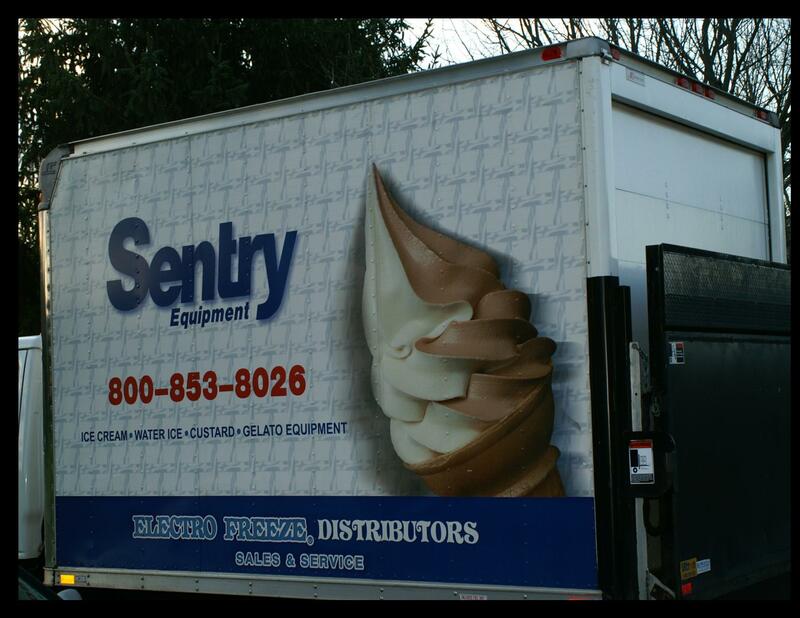 Please note: Sentry Equipment Service and Sales handles Electro Freeze equipment in the areas of New Jersey, Pennsylvania, and Delaware. Please contact us for a detailed list of our serviced counties.